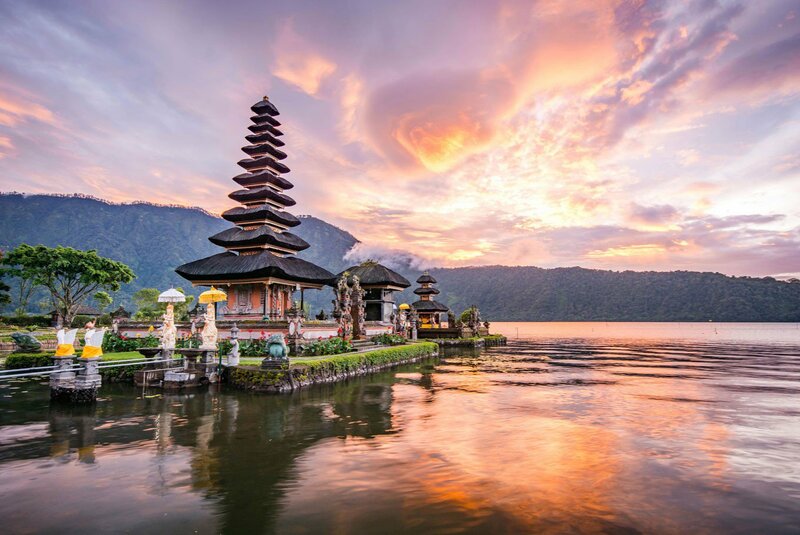 Bali is an Indonesian island that evokes a state of mind. It’s rich and diverse culture is everywhere, from the processions of joyful locals, to the myriad of ceremonies at temples. Traditional dance and music surrounds you, as do the friendly Balinese, whose genuine and happy nature is one of this islands biggest draw cards. 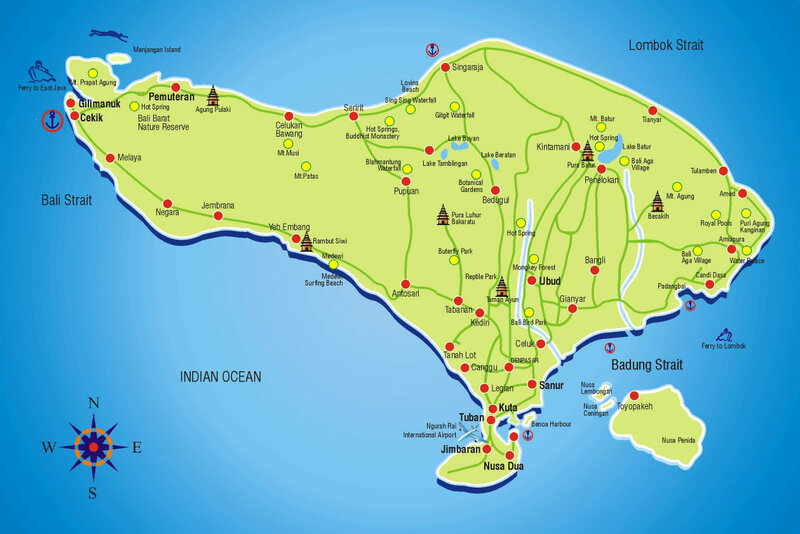 The golf courses in Bali are world class, as is the service. 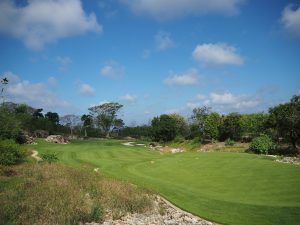 Bali National Golf Club who has three distinct playing environments throughout the 18-hole course. Holes 1 through 9 feature creeks, canyons and native vegetation filled with tropical birds set against a spectacular ocean backdrop. Holes 10 through 16 offer lush gently sculptured fairways through a mature coconut grove, with strategically placed lakes. The island green hole 17 and lakeside hole 18 are challenging finishing holes to test golfers of all abilities. 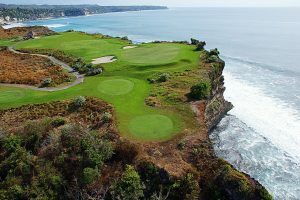 Carved out of harsh limestone and edged between the brilliant white limestone cliffs and the endless blue horizon of the Indian Ocean, this championship golf course ranks among Asia’s best. A magnificent Clubhouse which boasts a restaurant, bar and spa has panoramic views of the lush rolling fairways and sea. There’s even a lookout tower beside the clubhouse where members can climb up to watch Bali’s magical sunsets. 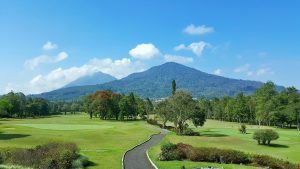 Handara Golf & Resort is a Mountain Golf Resort surrounded by lush green mountains, crater lakes and an equatorial rain forest that create dramatic backdrops into the well-maintained creeping bentgrass greens. With its cooler weather, lush tropical gardens and amazing mountain scenery GOLF Magazine ranks it among the “Top 50 Greatest Golf Courses in the World”. Situated on a limestone cliff-top overlooking the world-famous surf breaks of the Bukit Peninsula. 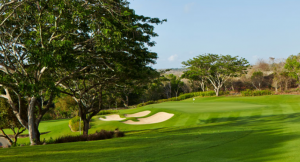 The golf club offers 18 championship calibre par-3 golf holes, many of which are back-dropped by rustic architectural relics and spectacular views of the Indian Ocean, with a clubhouse inspired by the many grand temples Bali is renowned for. The holes, artworks themselves, meander through dramatic rock outcroppings and terraced rice paddy fields. A new pedestal of harmony and balance.